Superhero archetypes can be used as a fun way to approach all three. Because I want the widest margin of people to be able to relate, I’ve chosen from the most popular characters in comics. There are plenty of lesser-known characters who would also fit the bill but they wouldn’t be as relatable. There are also certain characters who, while being my own personal favorites (such as the Hulk, Rogue and Rorschach), are either too ambivalent or not easy enough to explain in short, bite-sized micro-essays and therefore left off this particular list (though I may discuss them in another post). These are my own symbolic interpretations, completely arbitrary. Others will have different ones and that’s not only fine and natural, it’s all part of the beauty of superheroes. They’re customizable for your own purposes. Naturally, there will be a lot of overlap and crossover of qualities between characters. For each character, moreover, there are at least a handful of alternative characters that you might prefer and could easily use instead. The qualities I discuss are by no means all of the lessons that each character has to teach us. This is just a small sample platter of ideas, if you will. Lastly, though this list is numbered, it is not in order of importance. The sequence is purely based on my own arbitrary logic. The above satire of Green Lantern from Cracked is a personal favorite. As we know, the Lantern’s ring endows its bearer with the power to materialize anything he can imagine. When all the wearer can imagine is a fist to sock his enemies in the face with, clearly there’s a lack of imagination at play. Sometimes, it is not lack of talent, skill, effort or luck that puts us in unfulfilling life circumstances but a simple lack of imagination (as in the cartoon above). I don’t mean a fanciful, overly ambitious imagination like wanting to become the next Steve Jobs, but the ability to let your heart dictate what might be possible and what is worth struggling for rather than just second-hand wisdom or what the world tells you. The size of the dream is not what matters but its trueness to you. With time and experience, many of us find ourselves adjusting our dreams and goals to make them more feasible, but better to dream creatively first and compromise later than never to have dreamt creatively at all. The other condition of the Green Lantern’s ring is that even when Hal Jordan imagines something more creative than a fist, he must have an equal proportion of willpower to bring it to life. This is also true in reality. An idea, no matter how clever or bold, is never enough. One must have the strength of will to initiate it, to persist in it and to not quit despite setbacks and failures. And the bigger the idea, project or conception, the greater the willpower required. With the release of every great product or service, there are people who say that they thought of that too or that they thought of it first. Perhaps they did, but in this game only those with the will to follow through on their ideas can win. Finally, make no mistake: This is not the same thing as The Secret. “Willing” an idea into being is a long, laborious process that requires real work and sweat, not just imagining and waiting for the universe to bring it to you on a silver platter. Obviously, many superhero characters embody this virtue to a certain degree, but with the Green Lantern, it is explicitly symbolized in both the mechanics of his ring and its primary weakness: the color yellow, which represents fear. The nature of the ring is such that a powerful imagination plus willpower can create just about anything, but if the ring bearer’s mind is clouded by fear or other negative emotions, his ring-powered creations will be unstable. Within the Marvel universe, Cyclops is one of the characters with the strongest, clearest vision of what he wants to achieve. It’s quite appropriate, symbolically, for a character whose mutant power literally involves his vision. 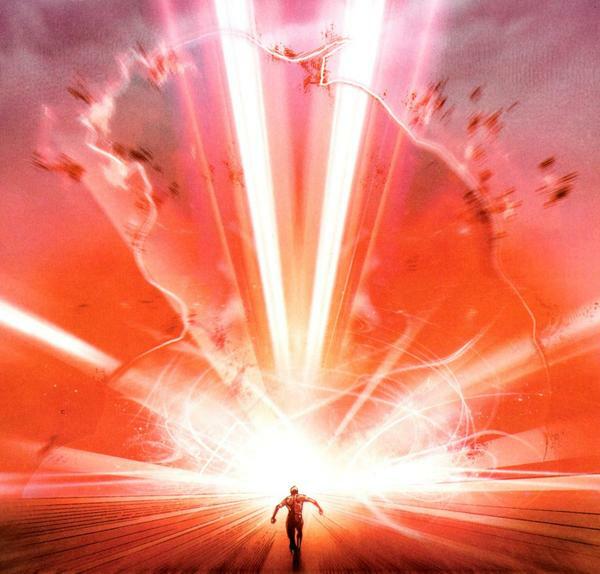 Scott Summers may have been trained and mentored by Charles Xavier, but he eventually became his own man with his own vision that ultimately has come to even clash with Xavier’s. But, when chastised by his teacher, instead of backing down he had the courage to stand up for what he, not what anyone else, believed was right. Regardless of whether his decisions have been right or wrong, it is because Cyclops is so clear in what he wants to achieve that he can resolutely make difficult choices, even dubious ones, and not sabotage himself afterwards by second-guessing. Personally, I believe that one of the most common but least understood causes of failure in anything is lack of focus and concentration. Cyclops can’t actually control his optic blast power. Without a special visor or eyeglasses, the beams shoot out everywhere. The beams represent attention and concentration of effort. With the help of his visor, he can shoot his eyebeams only when he needs to exactly on the targets that he needs to – focused, concentrated effort. But without them, his “attention” becomes scattershot. Discipline and self-control are necessary to focus our attention on the highest priorities if we want any kind of chance at succeeding at anything whether the endeavor is career-oriented, intellectual or spiritual. When you put yourself out there, no matter what form that may take, you need to grow thick skin because people, both friends and enemies alike, will sometimes say and do things that will deflate your confidence and motivation. 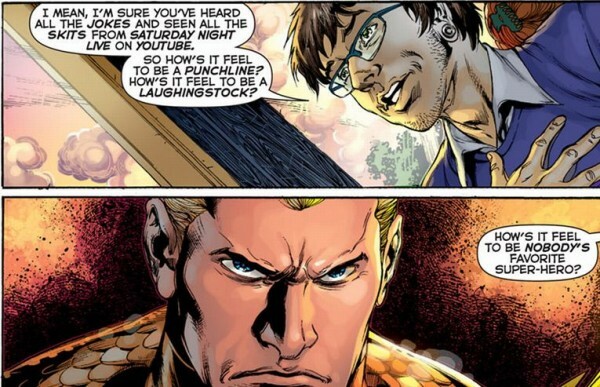 The kind of thick skin that we need is figurative, of course, but Aquaman has both kinds. His skin is literally tough enough that while it isn’t completely invulnerable to bullets (like Superman), it can nevertheless withstand them pretty well. Equally importantly, he also has the kind of thick skin that deflects a persistent onslaught of mean-spirited jokes and insults. 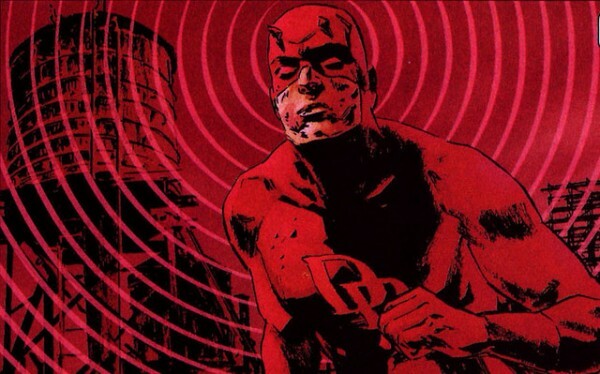 Some characters don’t get enough respect in their fictitious worlds (like Daredevil). Some don’t get enough in the real world from comic fans (like Cyclops). Poor Aquaman doesn’t get enough in either his own fictitious world or in reality from comic fans. But while he doesn’t enjoy the treatment he often gets (who would? ), he endures it with dignity and grace, ignoring it as best he can, and nobly continues to do what he does best: helping people. 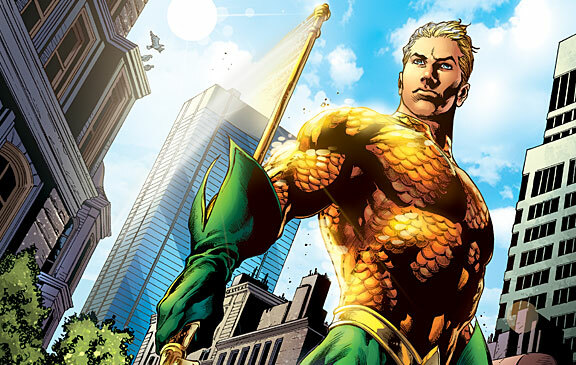 As a man of two worlds, Aquaman is rejected as an outsider by both. Naturally, this is a source of pain for him, but instead of sinking into self-pity he tries to embody the best of both worlds while rejecting their faults and weaknesses. We live in an increasingly multicultural world in which many, if not most, have multiple identities, affiliations and loyalties, sometimes conflicting ones. This can be a source of great angst but it can also be a source of power. Like Aquaman, we can try to learn the best of what our different cultures have to offer and minimize the problematic aspects of them. In effect, by doing this we become like chameleons, far more adaptable in an ever confusing world than those who have their entire sense of self invested in a single identity package. 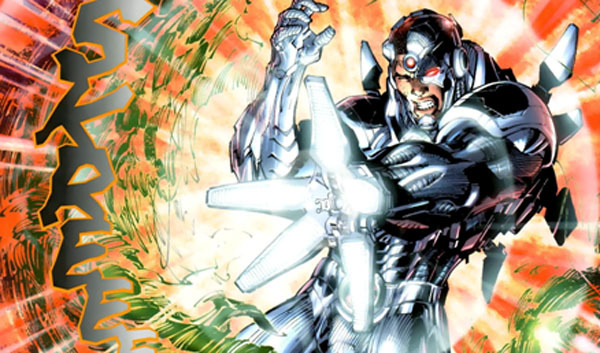 Like Darth Vader, most of Cyborg’s body is a machine. It’s what gives him his powers and abilities. He is truly a symbolic hero for our time as we find that ever more and more activities that we used to do with our own labor and muscle – even brushing our teeth – is being done by machinery. This is why I chose Cyborg over a more popular or obvious choice like Iron Man. The latter can live without his technology to some extent. Cyborg is more like us in that neither he nor we can live without ours. In this day and age, you can surely still be happy while shunning technology (in fact, it’s probably easier to be). But as far as material success goes, with everyone else using it, it’s getting harder and harder to have a fighting chance without at least partly using it. The irony is that even as we’re inundated with more and more technological tools for communication, real and true human communication and connection has not necessarily improved (some, including me, would argue it has worsened in some ways), which is why the next quality below is also needed. Very little of Cyborg’s body is actually human, yet his humanity remains intact. And never losing touch with that human core has been one of his primary struggles. As the world becomes increasingly technologized, the hunger for simple, real human connection and old-fashioned values will only increase. This is one of the main reasons that Starbucks – at first, anyway – become so popular: it provided an appealing “third space” where people could simply enjoy good coffee, talk and connect or privately work on their own stuff in a social setting. Those who can continue to find ways to deliver the human touch within a sterile technological world will be able to thrive at the personal, social and commercial levels. No one has ever accused Wolverine of being a nice guy. With his bodily augmentations, training and feral temperament, he’s essentially the perfect killer. Were it not for people like Professor X who mentored and nurtured him, he may very well have ended up as nothing better than a mercenary. As it is, Wolverine uses his qualities, even the negative ones, for good and is among the greatest of heroes in his own edgy way. He is an archetype for harnessing our demons and using them in ways more beneficial than hurting ourselves and others. How does this translate to real life? Well, for instance, I have OCD and have had it for as long as I can remember. Growing up, I tortured myself (and sometimes others) with all kinds of bizarre habits and rituals and had very little control over it. Today, through conscious effort over the years, I am in 99% control over it. I still get obsessive-compulsive thoughts, but I can almost completely ignore them. But, when I want to, when I think it might be beneficial, I unchain the beast and let it do its thing. Usually, this is for creative or work-related things in which the OCD helps me be meticulous and detailed in a way second to none. And what else does Wolverine’s famous healing factor really represent but resilience? The ability to get up again after being knocked down, to put ourselves back together after being torn apart – this is what really distinguishes those who succeed (at anything) versus those who don’t, much more than just raw talent or intelligence. Daredevil, as we know, can’t see. But his senses of hearing, smell, taste and touch are so supernaturally acute that, along with a radar sixth sense, they more than make up for the blindness. We, too, can learn to use our talents and skills to compensate for our “blindness” or weaknesses. Everybody has weaknesses or blind spots in certain areas that may be due to our personality, our worldview, our limited knowledge or experience or whatever it may be. But we are also gifted with unique talents and abilities that, if used to their potential, can more than make up for those weaknesses. Matthew Murdock has accomplished something that we all dream of but very few achieve: he has integrated his passions into his formal occupation. By night, of course, he is still Daredevil, but his battle against crime doesn’t end with daylight when he operates within the law as a respectable lawyer. The other lesson here is the willingness to compromise a bit. If he could have it his way, Murdock would surely much rather be Daredevil 24-7 and be paid for it. But since he can’t, he has done the next best thing, which is make money by doing something that might not be perfect but is still connected somehow to his passion. Moreover, the job funds Murdock’s activities as Daredevil so it is a worthy compromise. After all, not everyone is rich like Bruce Wayne or Tony Stark. We have to have jobs to fund our passions and, with patience and persistence, we can find ones that are at least somehow connected. 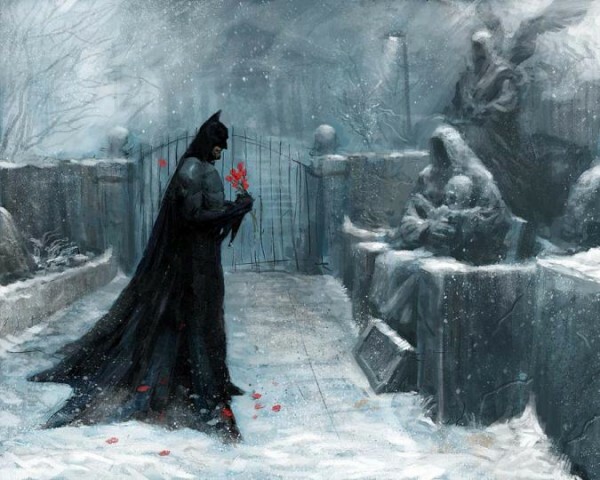 Batman is among the most tortured of heroes, and we all know the story why. Fortunately for the fictional DC world, he transmutes the powerful negative emotions of grief and anger and uses them for good. He even eliminates the possibility that such emotions will cause him to overstep the line by making “no guns, no killing” an unconditional personal rule. This principle, while similar to Wolverine’s Harnessing the Dark Side, has a subtle difference. With Emotional Alchemy, we are learning to channel our negative emotions into completely positive actions. With Harnessing the Dark Side, the actions we do are are negative but they come from habits and tendencies that we can’t get rid of entirely (such as Wolverine’s animal nature or penchant for killing or my own example of having OCD). Because we can’t stop ourselves from doing these actions completely we at least try to use them in more productive ways. Batman is also the most driven of all heroes and given the powerful emotions he lives with, it’s not surprising why. Like him, rather than let our demons pull us down and sink us, we can use them to soar and achieve to ever greater heights. We must be careful, though, that our compulsion to achieve does not drive us to unhealthy extremes, something that Batman himself, both in the comics and in the films, occasionally allows to happen. To make up for a lack of supernatural powers, Batman relies on his superb intellect, supremely healthy body and immense wealth. But like everything else in comics, these, too, are just symbols. Not exactly a genius? Don’t have immense wealth? Never you mind for there are all kinds of resources that you can tap into with some cleverness and creativity. Figuring out what those might be for you and then accumulating them is, itself, a test of your resourcefulness. This is also somewhat different from Daredevil’s Weakness Compensation principle in that while Daredevil relies mainly on internal powers (i.e. 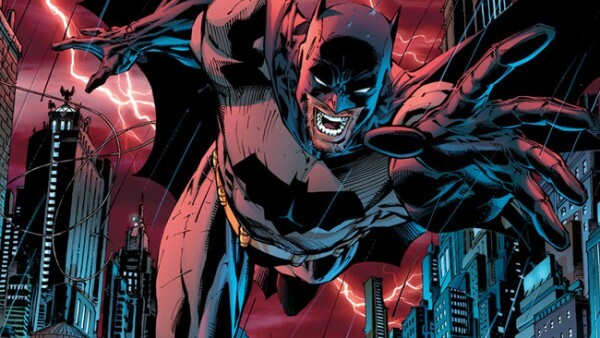 talent, skills) to compensate for his blindness, Batman exploits many external resources (connections, wealth, technology), indeed every resource possible, as well has his own internal intelligence and peak fitness to compensate for his lack of any powers at all. Why does Spidey get so much love? It’s because he’s simply among the nicest and most self-effacing of superheroes. You may think kindness and humility won’t get you ahead in this world, and sometimes that may appear to be the case. In the short run, it’s often true. But, in the long run, if you are loved and respected by the people around you – and nothing earns love and respect more than sincere kindness and dignified humility – then, at the most critical moments, they will step up to the plate and help you when you need it. I have tested this principle and it works but it requires a long-term investment and it must not be calculated. If you’re nice to people for a day and then expect them to come rushing to your aid the next day, it’s not going to work. 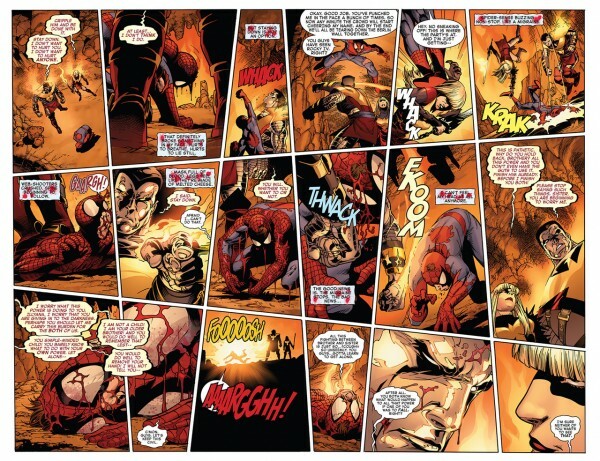 Because of the words “great power,” some people misinterpret the true, deeper meaning behind the much quoted dictum, “With great power comes great responsibility.” But come now, just how “great” is Spidey’s power, really? Compared to so many vastly more powerful beings in the Marvel and DC Universes? First of all, the word “great” here doesn’t indicate the level or size of power. It’s the value of the power, and all powers have great value and importance. Second, Spider-Man very much represents the average person, so what does that mean? It means we all have unique talents and abilities that give us “power.” It is your duty to find them, hone them and use them. Third, the responsibility isn’t just towards others; it’s also towards yourself. People wait endlessly for external events to make them happy. Take charge and take action. Fulfillment in life is your own “responsibility” and you have the “power” to make it happen. 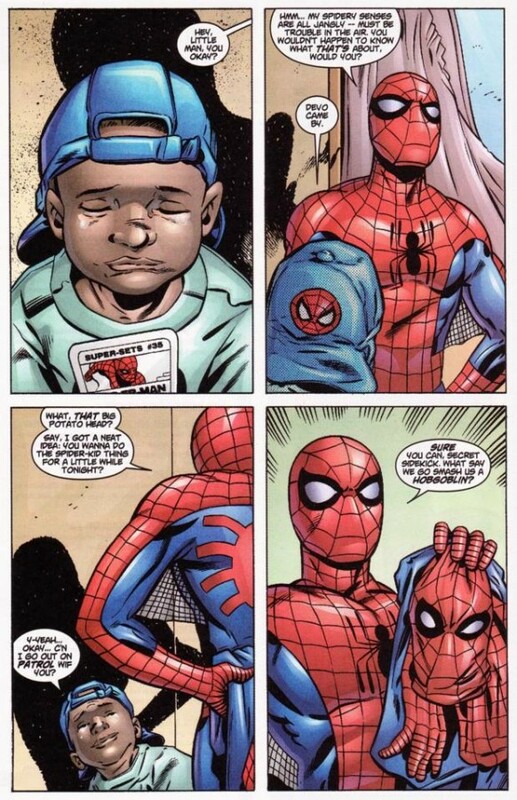 Spidey never loses his sense of humor. Ever. It doesn’t mean he’s frivolous nor does he lack the sense to withhold witty comments during inappropriate moments. His humor is, rather, a kind of courageous defiance against adversity, against the blows, both literal and figurative, that life throws at him endlessly. As I wrote about extensively in my post about the film adaptation, what makes Captain America a hero is not so much his physical prowess as his virtues of courage and determination, qualities he had even when he was a skinny weakling. He didn’t let his sickliness be an excuse from being of service back then and neither should we when we’re feeling down and out for whatever reason. There’s always something we can do, no matter how weak and disempowered we feel, literally or figuratively. Start where you can. He did. An idealist at heart, the years of serving in the military and leading soldiers in the field has made Cap a clear-headed pragmatist. His idealism and pragmatism both make him who he is. The key, as he shows us, is balance (though admittedly Cap himself sometimes strays too far into the overly idealistic side). Whichever direction you lean towards, idealist or realist, try to balance it out a bit with elements of the other. You may find your thinking becoming more holistic and integrative. Cap isn’t the strongest, fastest or even the smartest in the Marvel universe. What he can do, however, is surround himself with those who are faster, stronger and smarter, earn their respect (even with someone as unruly as the Hulk), unite them to a cause and lead them brilliantly. We all need help with our efforts. We need allies, a team. If the vision of what you want is clear, then, accumulate a team, however long it takes, that can help you bring it to fruition. Show them, by your integrity, that you are deserving of their help in attaining your dreams. You can then essentially become the leader of your own personal “superhero team” and, in return, help others with their dreams as well. Wonder Woman’s trademark weapon is her Lasso of Truth. It represents both her love of abstract Truth and truthfulness. Truthfulness, in a philosophical sense, is slightly different from honesty. A dictionary definition of “truthfulness” is: “being or reflecting the essential or genuine character of something.” So genuineness is the key word here. If a co-worker asks you how she looks in a dress and you tell her she looks ugly, you might be being honest but are you being true to your own values? During a key storyline in the DC universe, Wonder Woman gets chosen by the violet Star Sapphire ring (representing love whereas Green Lantern’s green ring represents will) for having more love for the planet Earth and everyone on it than anyone else. 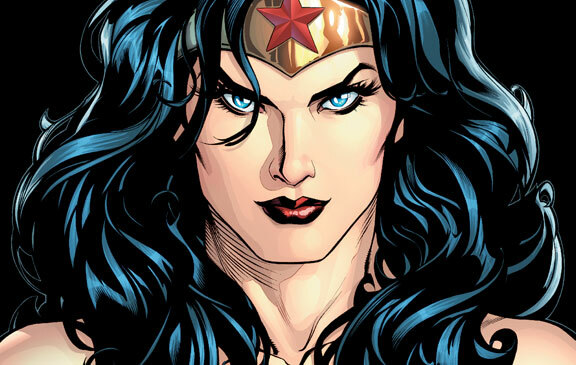 Given that love is such an omnipresent theme in all of art, pop culture and entertainment, for DC to single out Wonder Woman like this, even over the equally-idealistic Superman, was a significant statement about her. She represents many things but, more than anything, she represents the Christ-like quality of all-encompassing love. In an already idealistic list, the abstract concept we call love is the most idealistic of ideals. No one can say just exactly what it is for it is many things to many people. But we can all agree that everyone wants it and that it gives life meaning and makes it worth living. To pursue your dreams, then, with love in your heart not only for what you’re doing but whom you’re doing it for, is the ultimate of accomplishments. It makes the journey itself the reward. And there are those in the self-help and personal development fields who believe and teach that love is the extra magical something that can propel a project, business or endeavor beyond mediocrity and make it truly great. Hey, can’t believe that Superman isn’t here? (Sorry, I limited myself to 10 and then ran out of space). 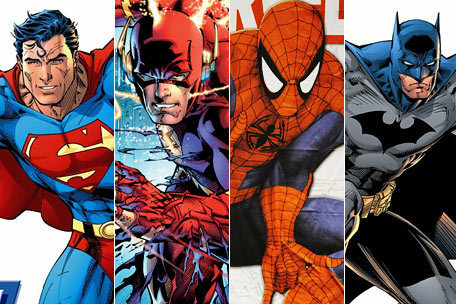 Which superhero who isn’t on this list has inspired you to improve yourself in some way? Share your thoughts in the comments section below!